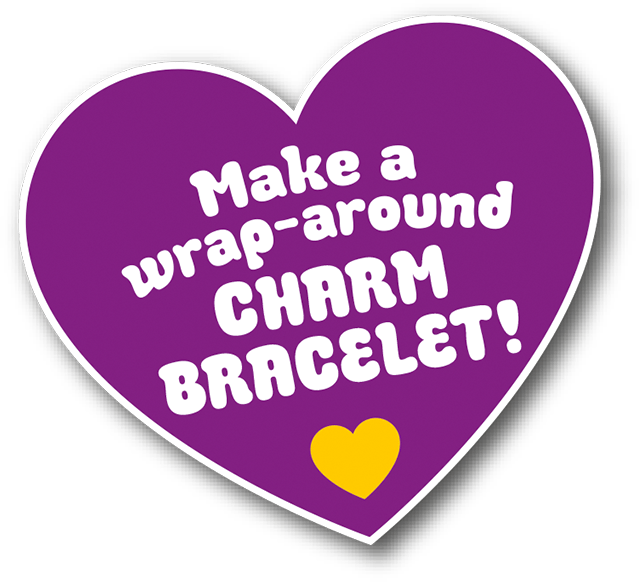 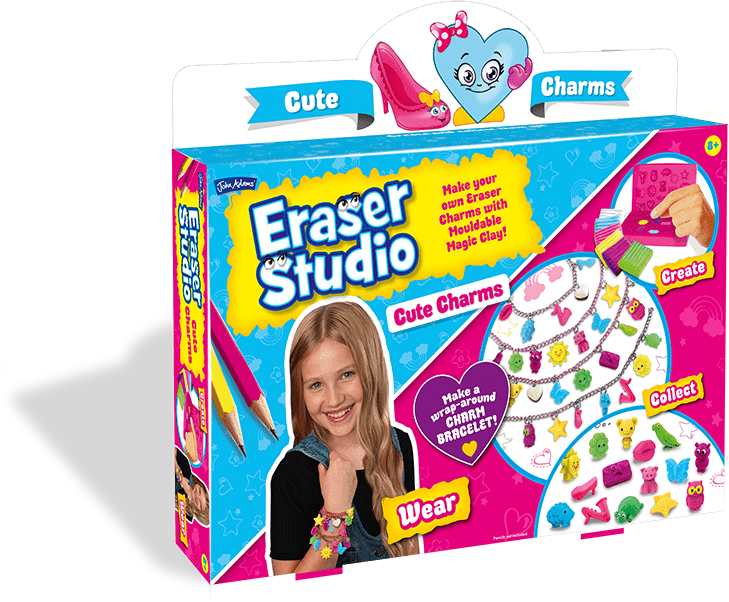 The Eraser Studio Cute Charms lets you make your own adorable accessories to attach to a wrap-around bracelet or use whenever you want! 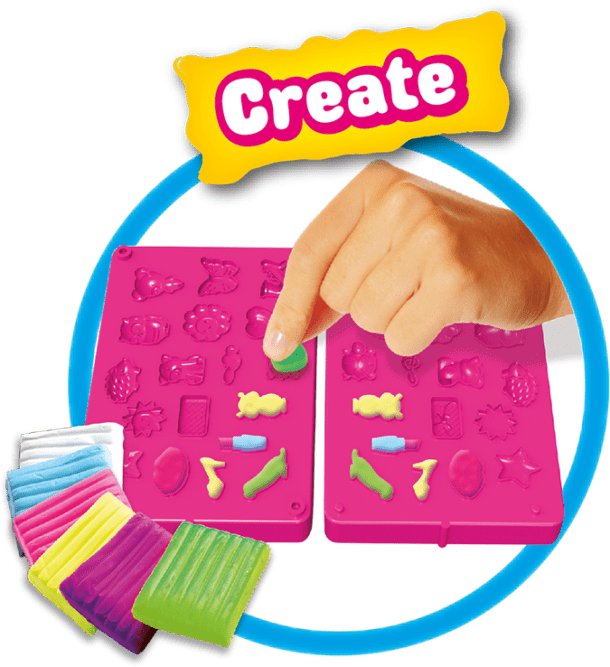 Perfect for pencils cases too. 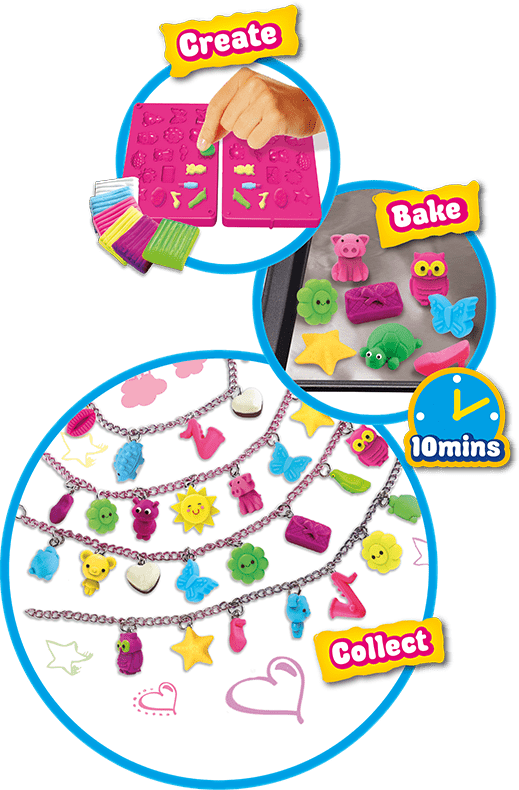 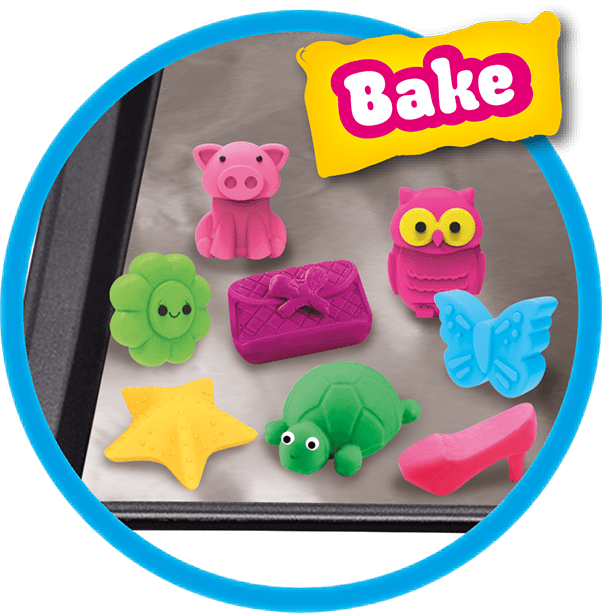 Make your own erasers with mouldable magic clay! Create, collect and erase!